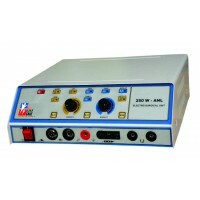 acco 400W ALLIGATOR DIGITAL ELECTRO SURGICAL UNIT is High Frequency Elcetro Surgical Unit Microcontroller based innovative design, together with high reliability makes acco 400W ALLIGATOR digital Electro Surgical Diathermy unit the most favorable choice for doctors. 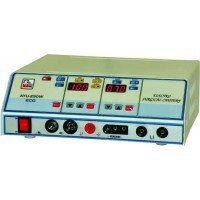 The technical ability of the units is combined with patients safety are of prime importance both for the patient and the user. 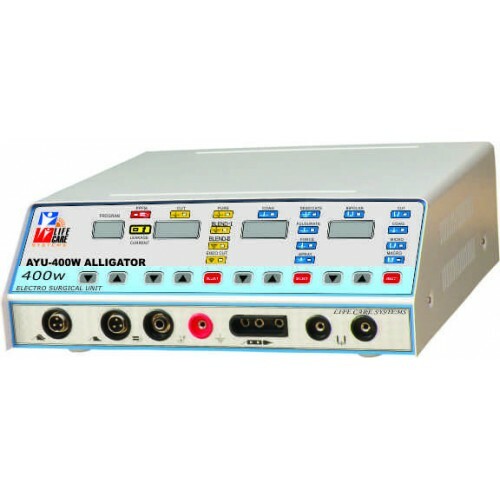 The acco 400W ALLIGATOR Digital Electro Surgical Diathermy is designed with SMPS power supply provides particular safety and reliability. 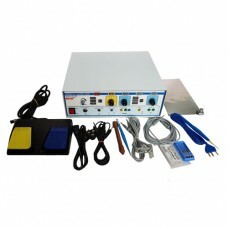 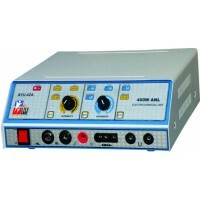 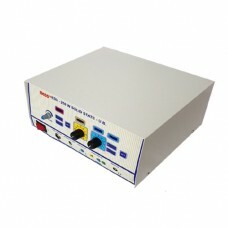 acco 400W ALLIGATOR is user friendly electro surgical unit. 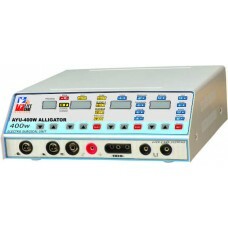 Safety in use The technical conceptions of the acco 400W ALLIGATOR meet the requirements of highly refined electro surgical techniques all national and international safety standards are conformed. 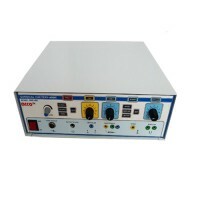 The micro function and knob allows instant variation in the output power.